Meet your new favorite travel companion, the ultra-slim, fully connected COOLPIX S9500. With the versatility of a 22x zoom super-telephoto lens, the superb image quality of an 18.1-megapixel low-light CMOS sensor and the extreme convenience of built-in Wi-Fi® and GPS, capturing and sharing the sights and sounds of your trip has never been easier. Shoot a stunning panorama landscape, then instantly share it—along with the exact location it was shot—to your compatible smartphone or tablet. When you get home, explore your photos and videos on an interactive map and relive the adventure step by step, shot after shot. 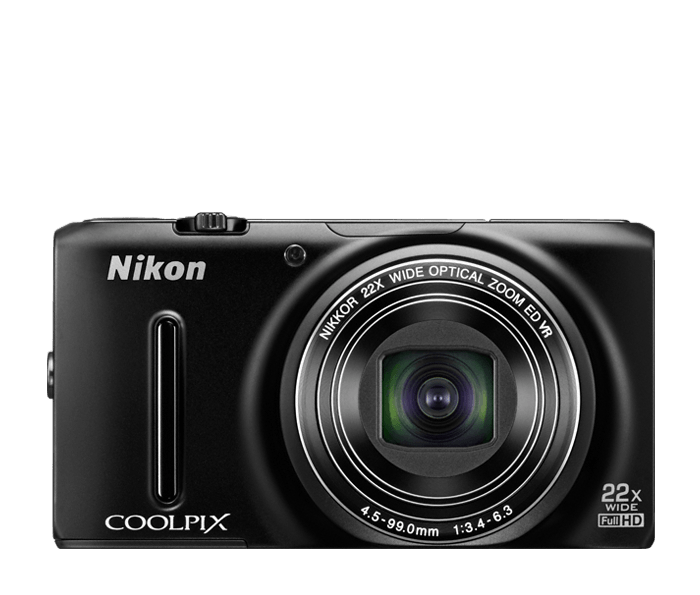 The COOLPIX S9500 makes it easier than ever to share beautiful views of your world. Take a great shot and instantly send it to your compatible smartphone, tablet, or any compatible Wi-Fi® device. Then use your smart device to email it, text it, or upload it to your favorite social networking or photo album sites—share it the same way you normally share online. Your friends and family will be amazed by the shots you share!